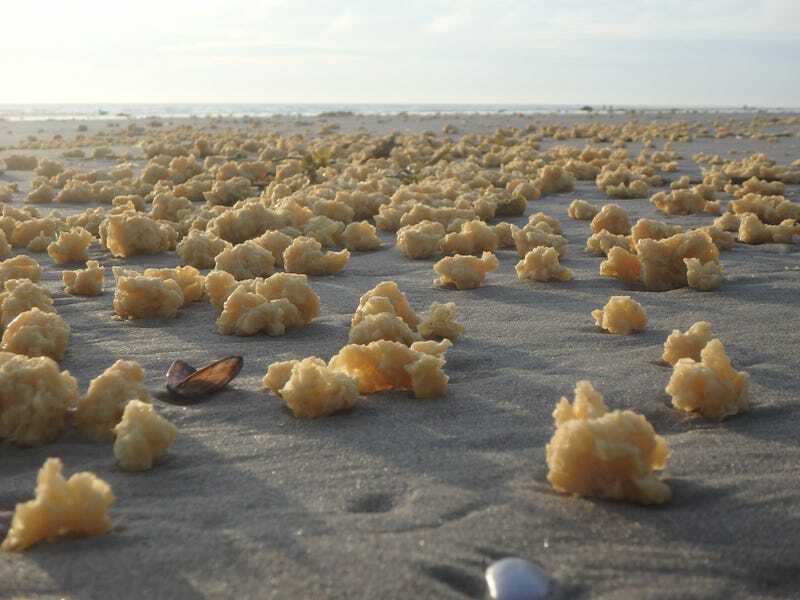 Late last week, strange sponge-like clumps began washing ashore in northern France. By the weekend, thousands of the foamy yellow balls were seen along nearly 20 miles of the coastline. Local authorities aren’t sure where the unsightly stuff is coming from, and an investigation is currently underway. As reported in The Local, this mysterious substance has washed ashore on several beaches along the Opal Coast, including La Slack, Wimereux, Le Portel, Equihen-Plage, Hardelot, Le Touquet, Stella, and Berck. Many of these areas are popular with tourists and beach goers, and workers are now scrambling to clean it all up. Despite not knowing exactly what it is, the French authorities say the substance isn’t a danger to “public health, animals, or plants” in the area, reports The Local. That comes as a surprise to Jonathan Hénicart, president of the Sea-Mer Association, who says it would probably be wise to avoid contact with the unknown substance until more is known about it. Yesterday, a team of firefighters from d’Étaples went to the beach of Equihen-Plage to observe and collect samples, reports La Voix du Nord. Samples were sent the Cedre Association in Brest, which specializes in analyzing hydrocarbon pollution. The Cedre Association was founded following the sinking of the Amoco Cadiz, and the group’s mandate is to protect local waters from pollution. Results are expected in about a week. This section of the English Channel is one of the busiest waterways in the world, and it’s traversed daily by more than 400 commercial vessels. 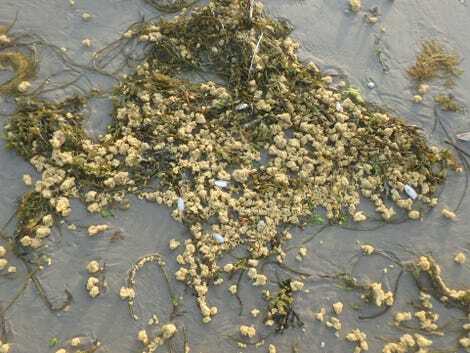 In the past few months, the area has seen several weird beaching events, including chunks of oil patties in Leffrinckoucke, and pieces of polyurethane foam in the sand on Blériot-Plage beach, reports La Voix du Nord. At a top speed of 12 miles per hour, you’d still have a hard time outrunning this prehistoric beast. A baboon wandered into a power station and fiddled with the equipment.